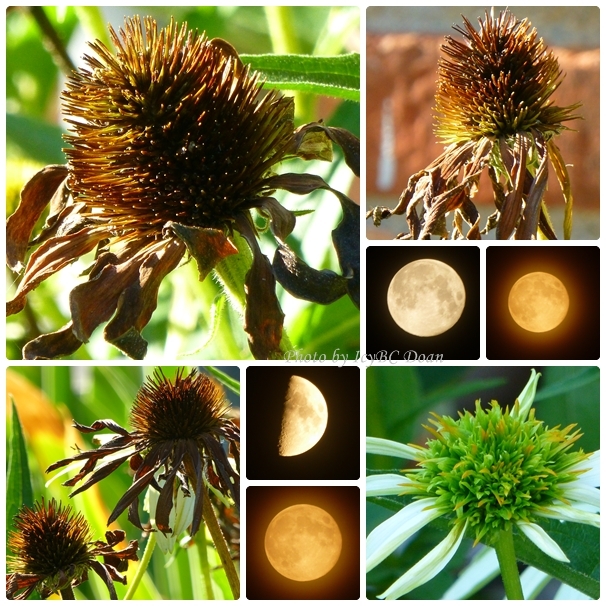 My coneflowers were in a browning stage, and reached their circle of life. These photos were taken earlier this week, and now they were pretty much black after many cold days. With the morning sun shining, the heads of these flowers were so striking. Was this coneflower dancing? Or was she putting on the last glorious show for me to see? Each conflower head had a different shape and style of its own, which was very amazing to observe. It feels like Autumn is here, but the trees didn't turn colors yet. The only obvious sign is the dying and drying flowers, except those that love cooler temperature such as marigolds and mums. Have yourself a fabulous weekend! beautiful coneflower at all stages of life.